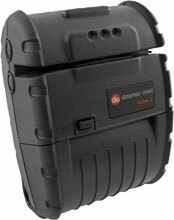 Datamax-O'Neil Apex 2 - RS-232 and Bluetooth Interfaces. The Datamax-O-Neil Apex 2 is designed especially for those transaction applications where small size, fast printing and dependability while staying in budget are vital. The 7-Arm, 32 bit processor keeps pace with the printers that cost almost twice as much without compromising on features and functions. Delivering the key features and communication methods, the Apex 2 has the flexibility to meet the unique, industry-specific receipt printing and ease of use required to keep up with the mobile worker's long and demanding shift. The Datamax-O'Neil 78728S1-3 is also known as ONE-787281S13	or 78728S13	.